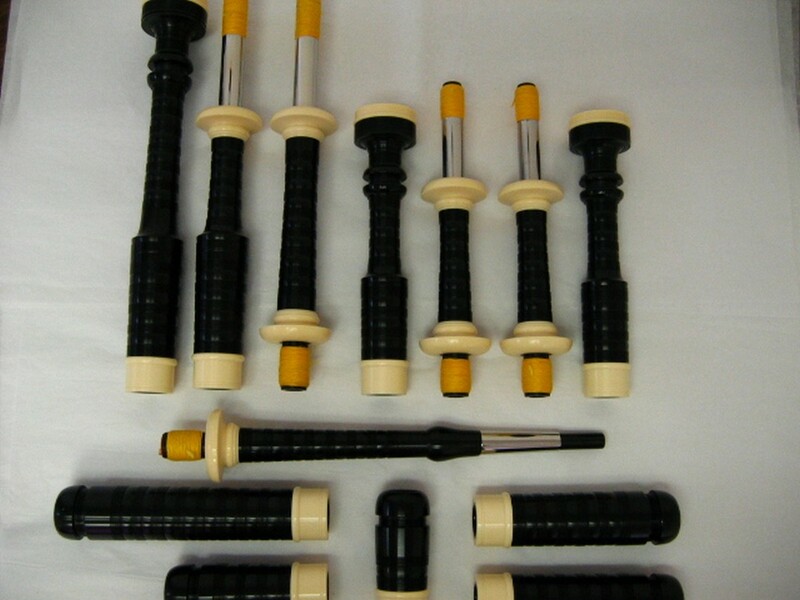 If you would like to customize your Dunbar P3 bagpipe, please select from the options below. *NEW* Our imitation ivory is custom made for us and is made from Delrin (the same material that our black poly is made from). Delrin is a very nice material to work with and lends itself very well to hand engraving. All of our engraving is hand engraved (we do not offer the "cheap" looking machine engraving) by David Davidse of Truehand Engraving and is available in either Celtic, Thistle, Zoomorphic, Victorian or a Fireman's pattern. What length (in inches) would you like for your blowpipe? 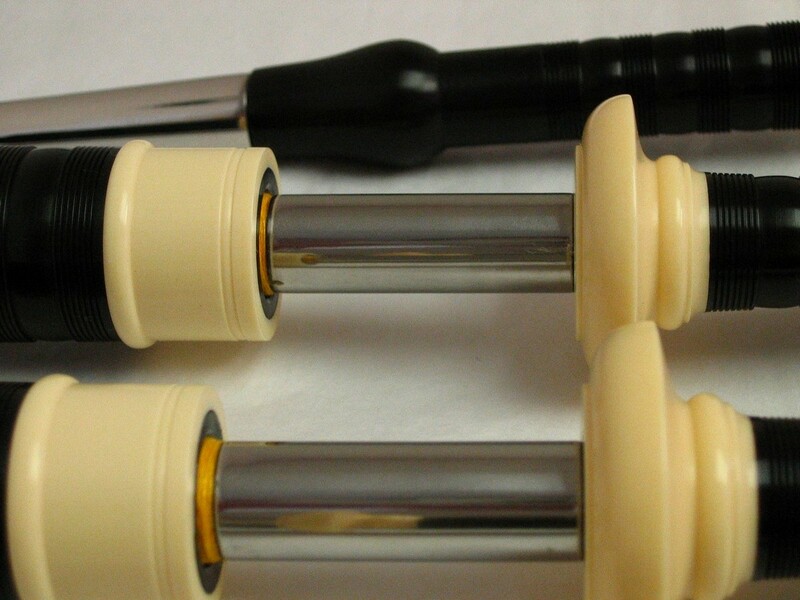 We normally measure from the bottom of the projecting mount to the tip of the mouthpiece. If you do not know what length you require, please let us know the height of the piper. This will allow us to get a general idea for the length. Pipe Bag - Choose a pipe bag. When you order an optional bag with your new pipes, it will be tied in and leak checked. Hi! I found this great product at J. Dunbar Bagpipe Maker Ltd., I thought you might be interested in it. Check it out!